Perfect conditions again greeted the competitors for the second qualifying session at the Isle of Man TT Races, Dean Harrison (Silicone Engineering Kawasaki) topping the Superbike leaderboard at an impressive 131.376mph, the quickest ever lap recorded on the opening night of Superbike qualifying. 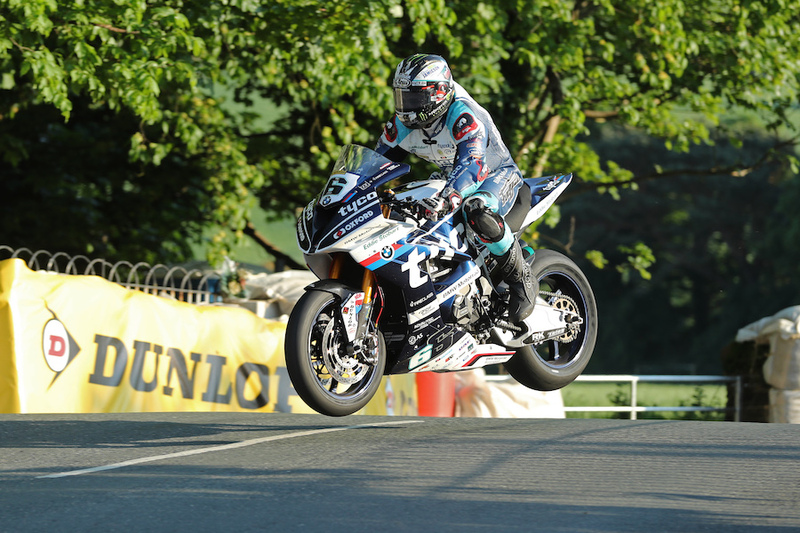 Michael Dunlop (Tyco BMW) third lap of the evening was only slightly slower at 131.087mph while Peter Hickman (Smiths Racing BMW) went quickest in the Superstock category, a lap of 130.219mph making him the third rider above the 130mph mark on the night. The session got underway at 6.40pm after a delay of twenty minutes due to a spectator on the course at Crosby. Dan Kneen (Tyco BMW) and Michael Rutter (Bathams Racing BMW) were first away followed in quick succession by Gary Johnson (RAF Regular & Reserve Kawasaki) and Ian Hutchinson (Honda Racing), Martin Jessopp (Riders Motorcycles BMW) and Hickman (Smiths Racing BMW). Michael Dunlop set off in the 11th pairing. Kneen, Johnson and Conor Cummins were the only three of the top twenty seeded riders to be Superstock-mounted with the rest on Superbikes. Harrison was setting the pace throughout the lap but Hickman was first to complete a lap at 128.011mph quickly followed by Kneen (125.526), Gary Johnson (125.939) and Cummins (128.180), the Padgetts Honda rider the quickest of the Superstocks ahead of the two Johnsons – David and Gary. Harrison went to the top of the Superbike leaderboard with a remarkable opening lap of 130.232mph with Michael Dunlop slotting into second at 129.357mph. Harrison elected to run straight through as the Ulsterman pulled in to change machines. He only got as far as Quarter Bridge though before pulling off the circuit although he soon got back to the pits to go out again on his Superstock BMW, lapping at 127.000mph. Second time around and Harrison and his Silicone Engineering Kawasaki increased their pace further, lapping at 131.376mph with Hickman posting 129.000mph although Cummins was quicker on his Superstock Honda at 129.584mph. Kneen was the second quickest Superstock (128.843) with David Johnson in third (128.139) but Cummins was out of luck on the Superbike, stopping at Ballacraine. Hutchinson upped his speed to 124.588mph on his Superstock Honda while Ivan Lintin was going well on his 600cc Kawasaki lapping at 123.563mph. 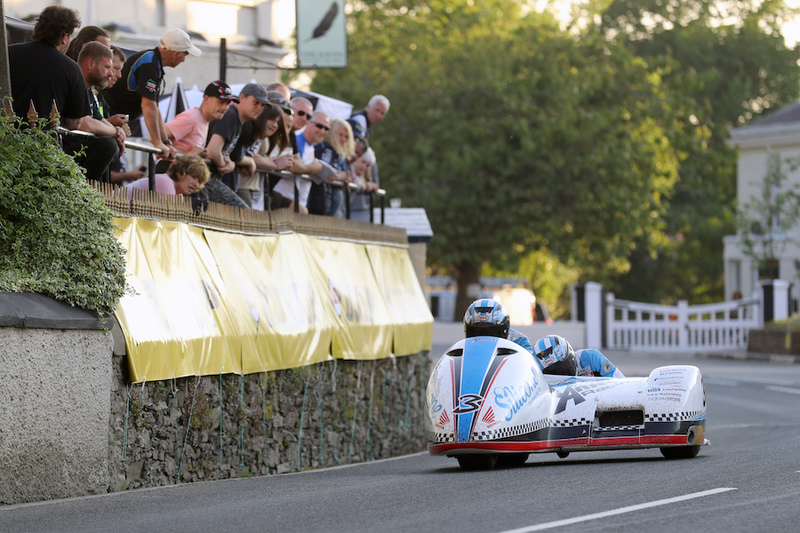 Newcomers Adam Lyon and Davey Todd were improving with 120.186mph and 119.148mph respectively with David Jackson finally getting his first laps in at TT2018 with an opening speed of 113.933mph after starting at the back of the field alongside Richard ‘Milky’ Quayle. As the session wore on, the riders repeatedly pitted to change bikes. 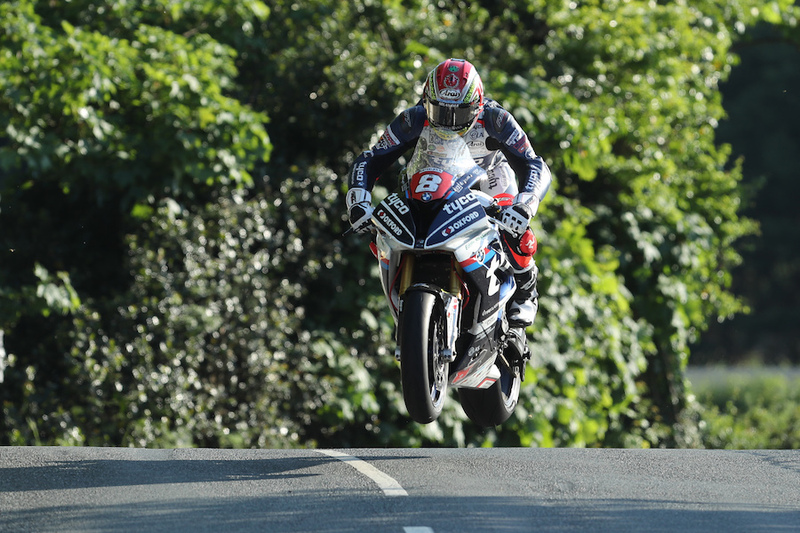 Hickman and Harrison lapped at 128.142mph and 128.134mph respectively on their Superstock machines but Josh Brookes and Gary Johnson were other high profile retirements, the duo stopping at Sulby Bridge and Ballacraine. 28/05/2018: Michael Dunlop (BMW/Tyco BMW) at Ballaugh Bridge during Monday evening’s Isle of Man TT qualifying session. PICTURE BY DAVE KNEEN/PACEMAKER PRESS. Dunlop kept it late before posting his fastest lap which made him the second rider on the night to lap at more than 131mph with a speed of 131.087mph. Hickman remained in third as Kneen, David Johnson and James Hillier completed the top six while Hutchinson’s third lap on his Superbike of 125.843mph was his best of the evening which placed him eighth quickest in the Superbike class. Hickman did go quickest in the Superstock class though with a late lap of 130.219mph demoting the Manx pairing of Cummins and Kneen to second and third overall. David Johnson’s good night continued as he ended the session fourth fastest ahead of Harrison and Dunlop. A slight delay due to an oil spill at Ballacraine meant it was 7.58pm before the Formula Two Sidecars got their first session of the week. Ben and Tom Birchall led the field away ahead of Dave Molyneux/Dan Sayle, John Holden/Lee Cain and Alan Founds/Jake Lowther. Holden/Cain were the first to complete a lap at 113.663mph and they were quickest ahead of the Birchalls (110.937), Molyneux/Sayle (110.508), Founds/Lowther (109.596) and Lewis Blackstock/Patrick Rosney (108.333). Only Holden went straight through with the others pulling in to make adjustments. 28/05/2018: John Holden/Lee Cain (LCR Honda/Silicone Engineering/Barnes Racing) at Ballaugh during Monday evening’s Isle of Man TT qualifying session. PICTURE BY DAVE KNEEN/PACEMAKER PRESS. Tim Reeves/Mark Wilkes had been quickest through the Sulby speed trap at 150.1mph but they never made it to the Bungalow, stopping at the Black Hut to make adjustments. Holden/Cain slowed dramatically on their second lap with a lap of just 99.053mph but Pete Founds/Jevan Walmsley improved to 108.851mph with Tony Baker/Fiona Baker-Holden only slightly slower at 108.412mph. Molyneux/Sayle again broke the 110mph barrier second time around but were slower than their first lap and although Founds/Lowther remained fourth quickest, their second lap was quicker at 110.338mph.